48mm thick cross laminated LVL timber door leaf offers lateral strength and stability compared with most composite doors. 30mm thick double & triple glazed units manufactured to BSEN1279. High security multi- point locking systems that are tested to the Secured By Design specified PAS 24 security standard. Nickel plated steel hooks and dead bolt. Standard six pin euro cylinder which is anti-pick, drill, bump and has a sacrificial cut with optional upgrade. If you are looking for hard wearing, durable and attractive composite doors in Cardiff then here at Inspire Windows we have the perfect choice for you. 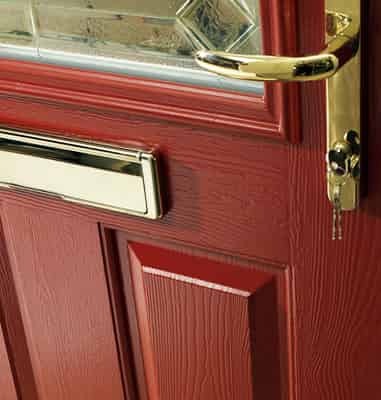 Composite doors benefit from being extremely low maintenance and offer unbeatable security. As well as a vast selection of colours so you can have a composite door that matches your existing property. As our front doors are the first to face the elements, a composite door is highly weather resistant, never rotting, warping or discolouring no matter how much wind and rain attacks it. Beautiful in design a composite door remains true to traditional timber doors but with all the modern advancements of a UPVC door. So increase your curb appeal today by having Inspire install your new composite doors in Cardiff homes and the surrounding areas. Achieve a traditional and timeless look that will last a life time. A composite door is built with an impressive structure. They are almost twice as thick as a standard UPVC door allowing for additional security just through their design. 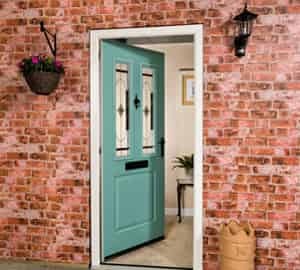 Manufactured using advanced plastics which are then reinforced with galvanised steel, you will benefit from a durable door made from the finest composite materials. Filled with insulating foam it will provide a greater degree of heat insulation. This will help reduce your energy bills and add value to your property. Practically maintenance free, the glazed reinforced plastic finish allows composite doors to withstand all weather elements without showing any defects – an excellent home improvement investment. Each composite door is available in a variety of colours including Red, Black, Green, Blue, Oak, White and Darkwood, so you can choose the perfect door. An Inspire composite door comes with a Yale locking system as standard, so you can be rest assured of complete branded protection. In addition feel safe with your purchase choice. Our composite doors come with a 10 year manufacturer guarantee and a 10 year insurance backed guarantee with every door. So you can feel protected for many years after installation. These remarkable doors offer outstanding security; robust and long lasting they will help keep your home and belongings safe and secure, making them an ideal selection for an exterior door. If you’re thinking of selling your home then installing new windows and doors could attract valuable potential buyers. Your entrance door is the first point of contact between you and a potential buyer so you want to impress. Don’t forget to consider the material, style and colour of your door – is it complementing your property? Take a look at our composite doors range with all the additional options courtesy of our online quote builder. 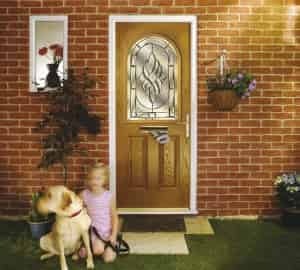 Simply enter your composite door requirements to receive a unique quote within a matter of minutes and it’s completely free. Not only are our Composite Doors a competitive, cost-effective price, but they will also save you money in other ways. Their fantastic durability and strength allow them to be exceptionally thermally efficient, saving you money on heating bills. With superb durability, our Composite Doors are also prevented from becoming worn or damaged years down the line, resulting in a longer lasting door that won’t require maintenance or replacing. 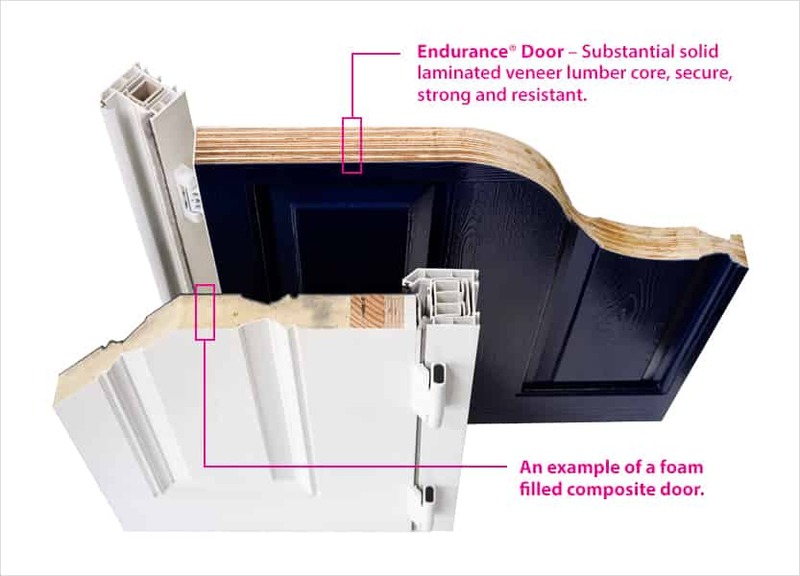 Here are just a few of the composite door styles we have to offer, view the brochure below to see our full list of styles, colours, accessories and more!